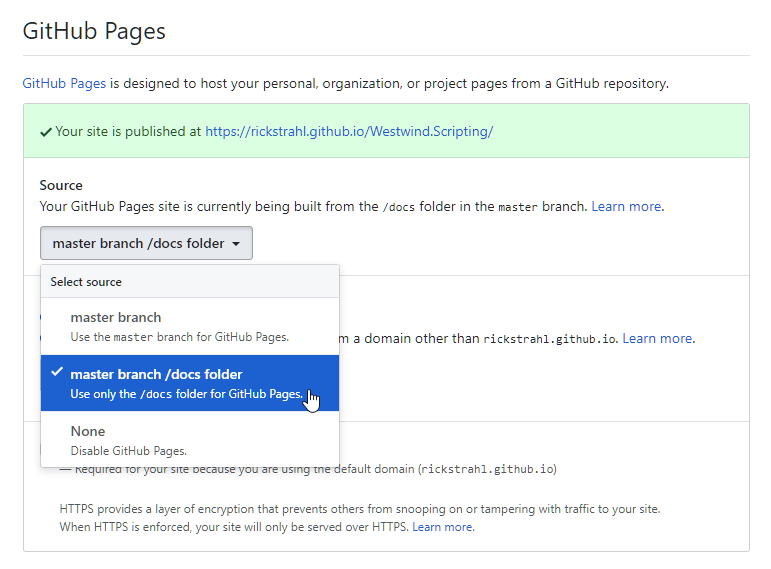 Github supports adding a documentation Web site to a repository which allows hosting static Web site content like that created from Help Builder output. The sub-domain name (rickstrahl) is the owner/organization of the Github repository, and the path (Westwind.Scripting) is the repository name. I prefer to attach my documentation site to an existing GitHub Repository in the /docs folder. 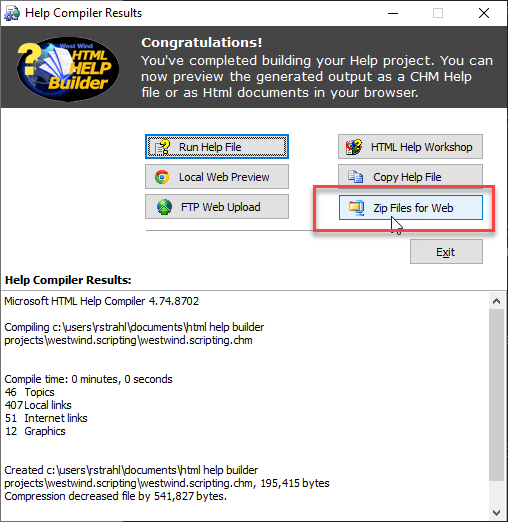 What this means is that you dump Help Builders Web site output into the /docs folder. If you choose Master Branch the assumption is that the root of the project is the root for the Web site and you'd dump the Help Builder output files into the root folder of the repository. This creates a self contained Zip file with all the HTML files, scripts, styles and related images that can be distributed. Open the Zip file, and copy the entire contents of the file into the /docs (or root if you went with Master Branch mode) folder of your repository. Important: Add a file called .nojekyll (no extension) into the folder you copied to. This ensures that files that start with _ as Help Builder's topics do will be copied to the content Web site. Commit your changes and push them to GitHub. and see your help file online.